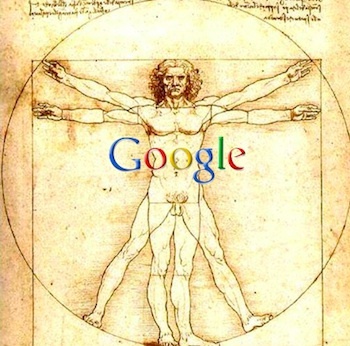 In the future we will be Google, and Google will be us–the online giant will make us better humans. That’s according to soon-to-be ex-CEO Eric Schmidt speaking today at DLD 11. Is he right? time in charge of one of the world’s most important tech companies. (promising he’ll be at Google for at least “the next decade”). After some preamble about his time at Google, Schmidt got to the good stuff: The future is mobile, he thinks, driven by the “device of our time,” the smartphone–and the tablet. Children now have two states of existence, aided by this trend–“asleep or online.” Within two years Schmidt sees smartphone sales outstripping desktop PC sales, and the mobile sector is growing eight times faster than traditional PCs did at the same stage in their evolution. Soon the majority of online action will happen from mobile devices, and landlines will effectively be dead for phone-call purposes. Then Schmidt got brave: Unconnected devices today are “no longer interesting,” he thinks. Soon everything, but everything, will be hooked up to everything over wireless nets. A good example of the phenomena this enables, Schmidt said, is Google’s recent efforts at a spoken-word universal speech translator app–which connects to many, many servers over the Net to give you access to near real-time voice recognition and translation. So far so good, but then came the most fascinating bit of the whole speech. Computers, Schmidt thinks, can, when used ubiquitously and interactively and with cloud-like access to remote supercomputer powers can give us “senses” we didn’t know were possible. “Think of it as augmented humanity” he suggested. That’s Augmented humanity. Not augmented reality, an idea we’ve been getting used to. It’s a subtle twist but an important one. Many tools may be trusted to “augment reality” to appeal to a more digitally interactive culture–you could be happy using Layar on your phone to find a nearby beach, then Around.Me to find a good bar, Yelp to find a restaurant, and Word Lens to live-translate the foreign language menu for you. It’s an interactive process, driven by consumer choice. But augmented humanity implies inserting tech deliberately in the way of normal life, to better it. And Schmidt’s unspoken line is that job should fall to Google–it has diverse tools that operate in all of these “augmented info” spaces and beyond, and if they were all centralized and presented to you seamlessly via Android smartphones, then it could improve the human race. After all, thanks to its vast user-info databases, Google already knows pretty much everything about you, and almost what you’re thinking about where you’re going next (as Schmidt has previously noted.) He caveated his argument with lots of references to the phrase “with your permission,” obviously concerned he was overstepping the user-privacy boundary. But do we trust Google with the future of 21st century humankind? There’s a big assumption here that Google will always promise not to be evil. Or is Schmidt revealing that it really is time for him to move on?